Why is an essay on Italy, its trains and people appearing in a blog on America’s East Coast, West Coast and Great Lakes? Trains and people are a universal interest in travel writing. You can read this book to learn more about trains and people. Or you can read it as one of the best travel books of the year: well-written and dryly witty. 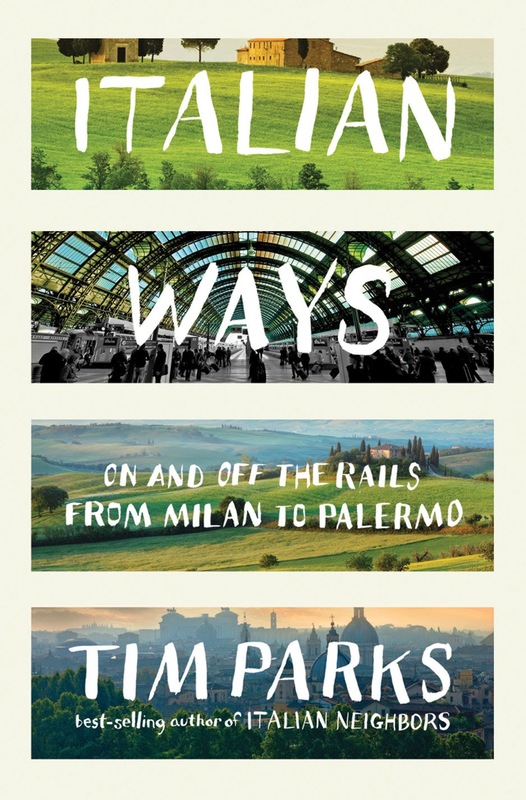 The first four chapters in Italian Ways are about travel between Verona and Milan. Parks devotes two of these chapters to a commuter train and two to first class travel on one of Italy’s new high speed trains. The remaining three chapters are about trips elsewhere in Italy, including a trip to from Verona to Sicily and the heel of the Italian boot. My favorite train writer is E.M. Frimbo, whose essays appeared in The New Yorker. In Frimbo’s stories, the writers, Rogers E.M. Whitaker and Tony Hiss, said just the right amount about the technology and people of rail travel and the communities along the tracks. In Italian Ways, Parks shows himself to be an heir to Frimbo. He writes well about everything: trains, the railroad system and people on the trains: passengers and train crews. Here’s a sample of his writing . . . This hiss of metal on metal, the very slight swaying of the carriage, the feeling of being enclosed in a comfortable, well-lighted space while the world is flung by in glossy darkness outside, all this puts me in a mood to read, as if the material world had been suspended and I were entirely in the world of the mind. Parks is an organized writer and thorough researcher. The book’s organization is helped with illustrations by David Atkins, maps with small drawings of the trains Parks rides. You may have no idea of how Italian train travel works or where the train is taking the author. Yet Parks has a gift for giving the reader the feeling that he or she will not get lost or in trouble - - even if he does occasionally. Parks writes truthfully and respectfully about his subjects. Some travel writers are besotted and say nothing negative about their subject. Others focus on the negatives. He clearly explains the challenges of riding Italian trains. Train schedules and ticket machines can be mysterious and hard to understand. It is often confusing if a person must line up and buy a ticket at a window. Some rail workers are capricious or officious. Yet, he appreciates and respects Italian trains, their crews and fellow passengers. When he relates frustrating events, he writes about them honestly but not peevishly. He shows how a person who carefully prepares can get practically anywhere in Italy without a car. He reminds people that Italian railroad engineering is beyond world class. For example, Italy constructed three challenging long tunnels under the Alps. One of these, the Sempione, was the world’s longest tunnel for many decades, until in 1979 a Japanese tunnel was finished that went a mile longer. If you love trains, you will love Parks’ wonderful, informed writing. If you wish to write about travel, you would do well to read Parks to see how a master does it. Whether you are on the beach or reading in the fall, put Italian Ways on your to-read list!